"The strength of any institution of higher learning is measured by the quality of the faculty members of the academic unit.  At Newberry College, particularly in the Department of Music, that quality has been observed in and out of the classroom. Knowledge of the subject matter professed by faculty members has always been more than adequate and often exceptional, but a far more difficult assessment is the extent to which dedicated Newberry Music Department faculty members cared for and mentored all of their students. Their concern never stopped outside of classes or at the end of the business day. They were always available to each of us for a gentle nudge or a swift admonition when needed. Ability was noticed and nurtured when it was often not evident, and our mentors were creative and diligent in finding methods to urge each and every student to reach his or her highest potential. It is not an exaggeration by any means to say that many of us would not have fared as well as we have without the loving guidance of these dedicated individuals. They labored to impart knowledge and support to generations of students with little in the way of financial or personal gain. Many of their efforts have been forgotten or never reported, but the retired professors of the Newberry College Department of Music will live forever in the hearts and minds of thousands of grateful former students."